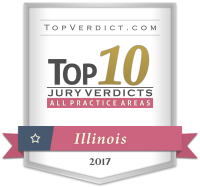 Our Chicago lawyer has never lost a medical malpractice case at trial! You need the representation of highly qualified Chicago attorneys if you have been injured due to medical negligence or malpractice in the state of Illinois. Medical malpractice is a serious problem, and one that claims thousands of American lives every year and causes even more injuries and pain. Unfortunately, many victims don't take legal action and pursue the compensation they deserve for their injuries and losses. At Power, Rogers & Smith, L.L.P., we believe strongly in the importance of addressing medical malpractice cases with integrity and conviction. Holding individual healthcare professionals and practitioners accountable for their mistakes benefits the system as a whole. We are careful to accept only meritorious cases, maintaining our firm's reputation for ethical advocacy. As a team, we believe this approach has contributed to our consistent success. Should I speak with a medical injury lawyer? If you have reason to believe that you or a loved one suffered an injury caused by medical malpractice, it is absolutely worth your time to speak with a lawyer about your experience as soon as possible. Remember: There are strict time limits for filing malpractice cases. Consult our medical malpractice checklist of documents and records to save for the best possible chance at a good outcome. Have these papers ready to share with your lawyer. The sooner you speak with a lawyer, the better. We are familiar with these types of cases and prepared to advocate for you. Why hesitate? Contact Power Rogers & Smith for a free consultation now.